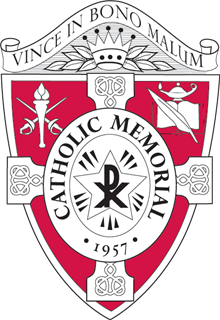 West Roxbury, Mass.— Catholic Memorial School student-athletes Kurtis Henderson and Chris Rooney earned Winter All-Scholastic honors from The Boston Globe earlier this week. Kurtis, who also earned the “Dream-Team” distinction from The Boston Herald, averaged over 24 points per game during his sophomore season on the CM basketball team while Chris, a senior on the hockey team, committed to play hockey at Stonehill College next year. “We’re proud of the way Kurtis and Chris represent CM through their incredible athletic achievements,” said Mr. Craig Najarian, Athletic Director of CM. Both players guided the CM hockey and basketball teams to victories in their respective MIAA Division 1 South Sectional tournaments. The hockey team (14-8-1) beat Archbishop Williams and Needham in the first two rounds of the playoffs before losing 5-2 to Franklin in the Sectional Semi-Finals. An eight-seed entering the Sectional playoffs, the basketball team (15-7) beat Quincy before losing 66-63 to one-seed Brookline in the Sectional Quarterfinals. A combined nine CM student-athletes from both teams, including Kurtis and Chris, received All-Star honors from the Catholic Conference. Junior Spencer Aronson and senior Brendan Ryan received the honor joined Kurtis for the basketball honor. For hockey, the list of players joining Chris included senior Jack Curran, sophomore Will MacNeil, junior Kevin McCarthy, senior Henry O’Brien, and Chris’ brother, sophomore Tommy Rooney. Both Chris Rooney and Henry O’Brien played for the North All-Stars during the 10th annual Massachusetts State Hockey Coaches Association High School All-Star Game earlier this month. 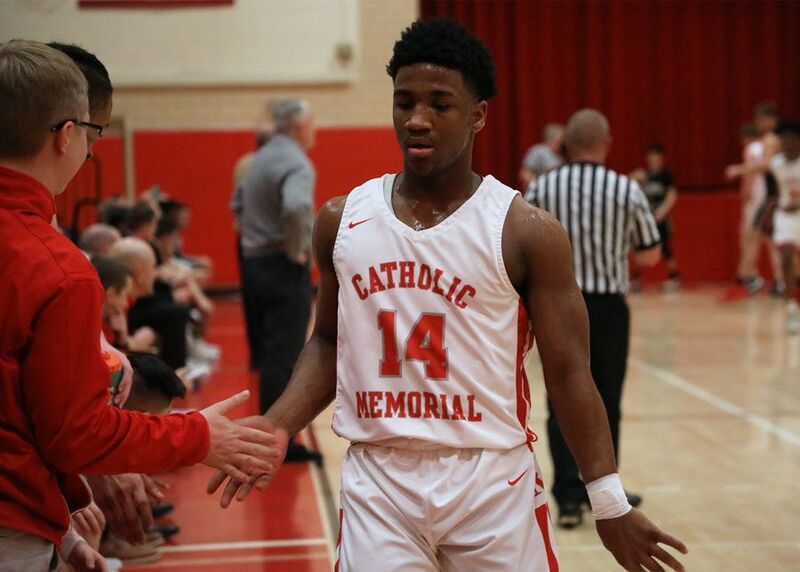 CM recorded a total of 14 Catholic Conference and Tri-County All-Stars this winter. Their success set the standard for excellence in a conference that produces Sectional and State Championship caliber competition year-in and year-out. Outside of basketball and hockey, CM collected Catholic Conference and Tri-County All-Star honors in the pool and on the track. For indoor track and field, senior Brian Stubbs Jr. received Tri-County All-Star honors and committed to UMass Amherst’s Division 1 track-and-field program. For swimming, senior Ben Chipman, junior Marcus Gadsden, junior Charles Nascimben, and senior Howard Phu received Catholic Conference All-Star honors. Charles, the Catholic Conference Championship Meet MVP, qualified for the State Meet at the end of February.